With IIS 7 url rewriting and redirecting has never been easier thanks to Microsoft’s Url Rewrite module. The rewriting is done by rules which are specified in the web.config under <system.webserver> element. 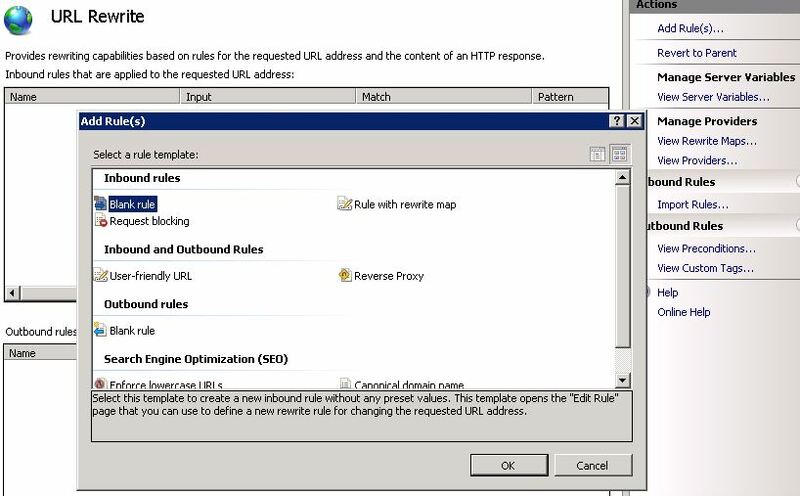 Using IIS Manager you can use the Url Rewrite gui to create and maintain your rules. This works really well and it is a completely seamless experience for your web site visitors. 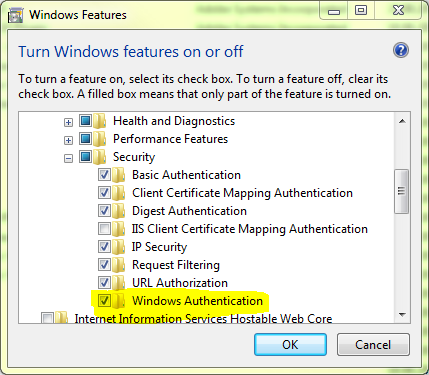 Here is how the rule looks in the IIS Manager gui. The example above is great but running your entire site in HTTPS will have a performance impact so you don’t need to do it unless there is a specific business requirement for it. So then we need a rule to redirect requests to HTTPS for just one folder. In this example we’ll use a folder called “/secure”. In this instance we use the same rule as above however now we only want page requests for the “secure” folder. This is done by modifying the “match url” element. 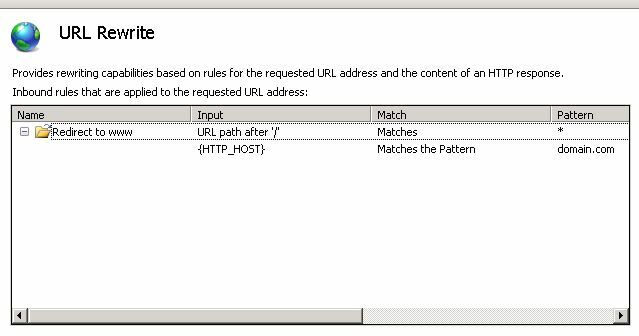 We’ve covered 3 of the most common uses of IIS 7 Url Rewrite but if you notice the rules above are really for redirecting and not url rewriting. 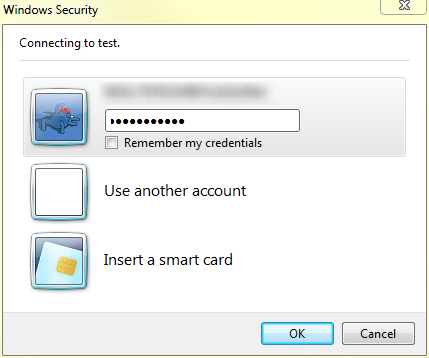 I wanted to test Windows 7, a website with Windows Authentication. The reason for this is that I've given the site its own host header. 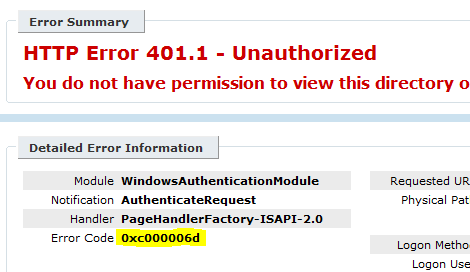 Produces the result that the loopback check, which was introduced with Windows XP SP2 (and apparently also in Windows 7 is used), fails, and the above error message with the Error Code 0xc000006d. The behavior and the remedy is in KB896861 described. I will gonna show you how to fix this issue. What is the issue? 1. When you create an new web application using visual studio.net, it automatically creates the virtual directory and configures it as an application. However, if you manually create the virtual directory and it is not configured as an application, then you will not be able to browse the application and may get the above error. The debug information you get as mentioned above, is applicable to this scenario. authentication or sessionstate is declared in the web.config of the sub-directory). The reason is, these settings cannot be overridden at the sub-directory level unless the sub-directory is also configured as an application (as mentioned in the above point). Mostly we have the practice of adding web.config in the sub-directory if we want to protect access to the sub-directory files (say, the directory is admin and we wish to protect the admin pages from unathorized users). Thus you can protect the sub-directory from unauthorized access.